Need a camera stabilizer, but don't have the cash? With an old pair of jeans, a bag of lentils, and an hour or two of your time, you can make one for cheap. Maybe even free, if you have a bag of those legumes already. This tutorial comes courtesy of Jeff Meyer on TechRadar. He uses a sewing machine, but if you don't have one, or don't know how to use one, you can pick up some fabric glue for a few bucks. You could also try a better no-sew method that uses fabric glue, fusible tape, and an iron for a more secure seam, so you don't have to worry about spilling the beans and missing your shot. 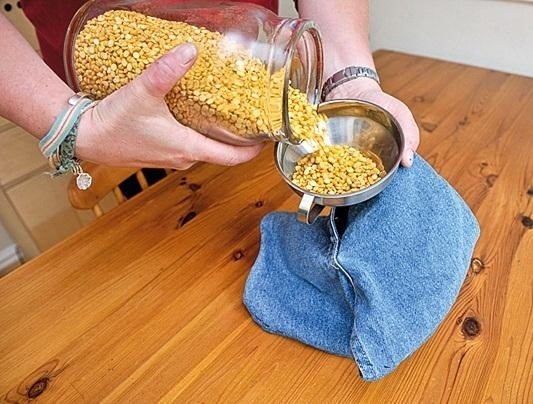 For this stabilizer bag, you cut off the waist and legs of the jeans, turn them inside out, sew up the seams at the top and bottom, turn the bag right-side-out, use a funnel to pour in your lentils (or beans, or whatever you have lying around), zip it up, and you're all set. If you want to make your own, check out Jeff's tutorial on TechRadar for the complete instructions. If you really don't want to tackle sewing, you can also make a cheap stabilizer out of PVC. You can also make a smaller version for your smartphone or mini-camcorder. Want some stable moving shots? 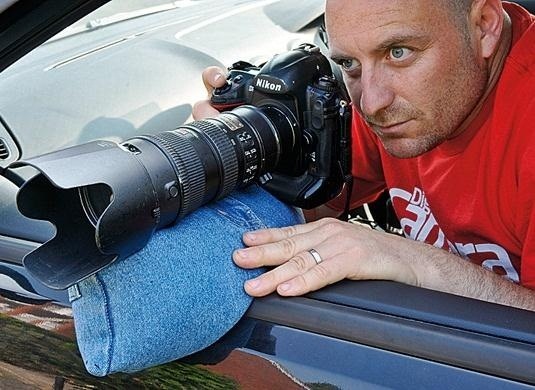 Try out some DIY car mounts.